Again, in a partial effort at transparency, you should know that any place associated with Lakeside or the Sandusky area will be mired in nostalgia. Every trip to the lake stirs rumblings of dozens of summer childhood trips to a place that will forever remain stained in my mind in a way that defies reality. I am still surprised every time I see familiar sights, as I remember them larger, freer and more magical. The sense of magic has not been extinguished in the area but some of it has been diminished in me. Some things remain, some are different, some are gone, some are new…time marches on, even at Lakeside. I will do my best to be aware of and control my emotional and irrational connection to the past. 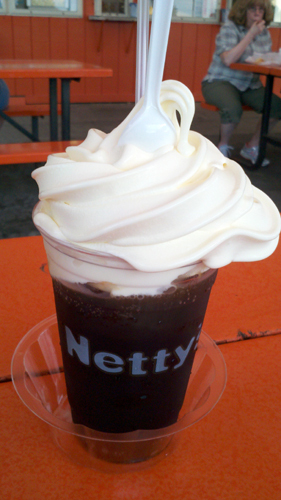 I actually have no connection to Netty’s. 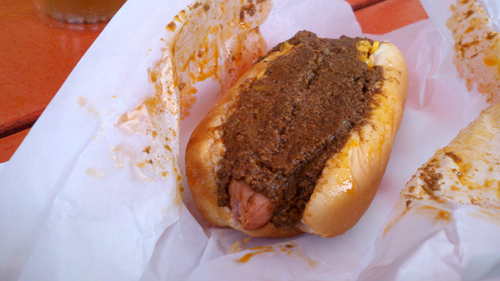 I’m not certain how long it has been in Marblehead but I do know that when we drove by and I saw Famous preceding the words chili dog on the sign that we would be going back. I am increasingly curious how this designation gets attached to menu items, especially since most of the items remind me of most of the Hollywood “Famous” you know their name but they are often lacking any substance that might explain the notoriety. Although with most of the food even the notoriety is questionable. 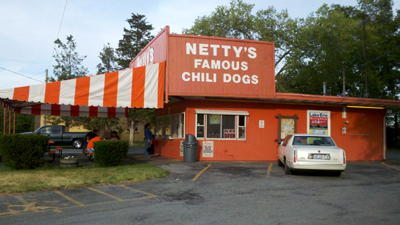 Netty’s was good, they were marginally busy, but I was the only one taking pictures of chili dogs; no paparazzi. 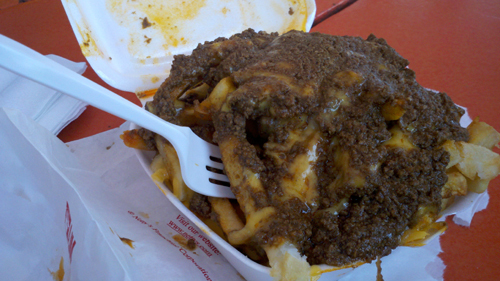 We ordered a chili cheese with onion and mustard, chili cheese fries and two floats. After a brief wait we were planted at a picnic table and unwrapping some fame. It wasn't gonna live forever. The dog and bun are standard and the cheese is a shredded yellow cheddar. 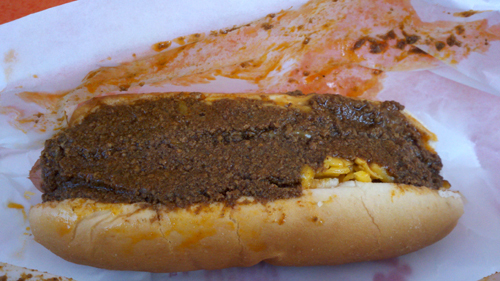 The chili is a dense meat spackle that could be used as mortar. Very finely textured ground beef is cemented together by a tomato based sauce that needed a hint more tomato flavor or spice to create interest. The same concoction weighted down the fries which might feed a family in and of itself. Far from the best of chili topped outings we have had in our adventures. The floats were another matter. I am generally of the opinion that vanilla soft serve is vanilla soft serve no matter where you might find it, it’s all the same. Some places DO however seem to churn something that has much more substantial richness and vanilla flavor. 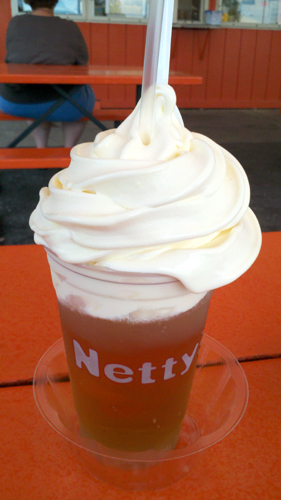 Netty’s does. The root beer float was reportedly tasty as I found the Vernor’s float to be. If we return to the lake next year I doubt I will start longing for a dog when I start to smell the water in the air and the competition for ice cream is fierce around here. I suppose we’ll see.